Protect your entire home with this security bundle which includes a Smart Home Alarm and a HD 1080 CCTV system with two wired outdoor cameras. Wired cameras can be used indoors or outdoors (IP67). Protect your entire home with the Yale Smart Home Alarm and CCTV Security System Kit 1 which includes a Yale Smart Home Alarm SR-320 and Yale Smart Home 4 Channel HD 1080p - 2 Camera CCTV Kit. 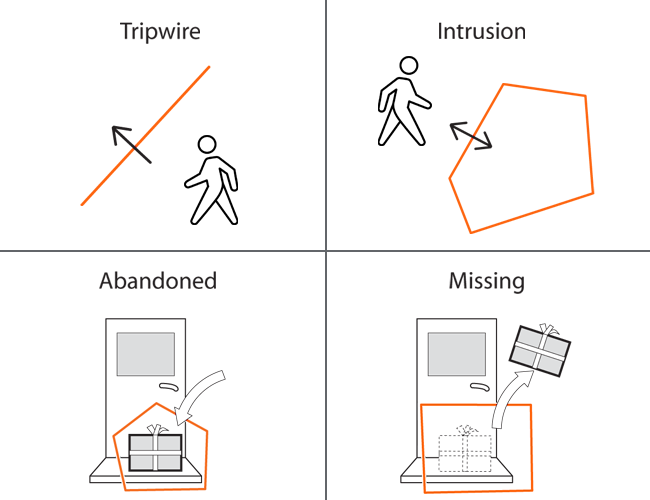 Both products are part of the Smart Living range and are easily integrated. 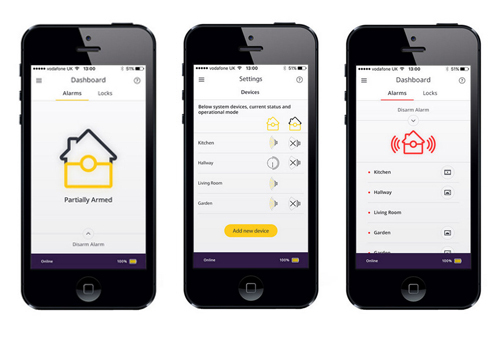 This allows you to monitor and secure your home on the go, using your Android or iOS smartphone. With loud internal, and external sirens, intrusions are quickly identified and video footage is captured via the CCTV cameras. 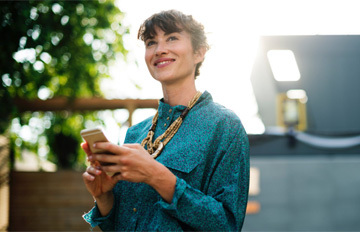 Additional notifications are sent to your email account and via SMS to notify you immediately of an intrusion, making it easy to quickly alert the authorities. 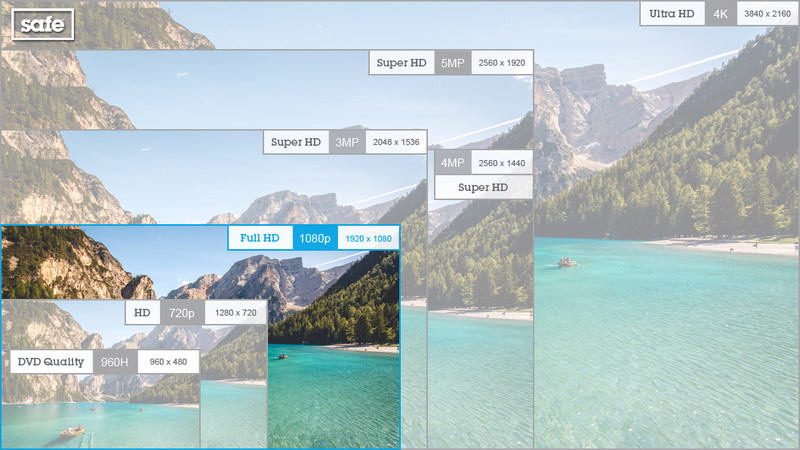 The Hybrid DVR will simultaneously monitor and record up to 1TB of footage from multiple cameras ready for viewing at any time when connected to your TV via HDMI cable (included). Unlike a standard DVR a Hybrid DVR will accept both standard analogue cameras and IP network cameras, making it incredibly flexible compared to other systems. Enhanced infrared LED bullet cameras with night vision range of up to 30 metres and high quality recording resolution of HD 1080p. They can be manually tilted and have a wide 90 degree viewing angle. The cameras are IP67 rated ensuring weather resistance making them suitable for use indoors or outdoors. Each BNC cable is 18 metres in length and is used to connect the Yale analogue CCTV cameras to the Hybrid DVR and includes an analogue BNC coupler. The Yale Smart Home HD 1080p 2 Camera CCTV Kit - SV-4C-2ABFX includes a Hybrid DVR with multi channel playback and two weather resistant cameras rated to IP67 with enhanced infrared LED night vision providing a range of up to 30m. The cameras can be set to record continuously, at a set time or only when motion is detected, making it much easier to view important footage, while at the same saving on hard disk space. The system also includes a 1TB hard drive and has four channels allowing for an additional two cameras to be added if required. 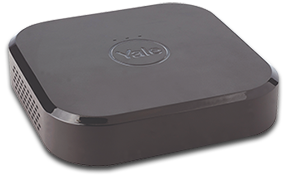 Yale's latest Smart Home HD CCTV, part of the Smart Living experience is designed to help you keep your home ever more secure. Packed with features and offering high quality HD 1080p resolution via your TV or SmartPhone using the Yale View App* (available for iOS and Android). As part of the Smart Living range, this CCTV kit will easily integrate with any other Yale Smart Living products you have, such as burglar alarms, IP cameras and smart door locks. Automatically triggers when a face-shape* is detected, and will send push notifications or emails when triggered. This is most useful at locations like the front door, at face height or slightly above. Face Search allows you to browse a list of pictures taken of the face-shape originally captured by the camera, letting you search for a specific person. 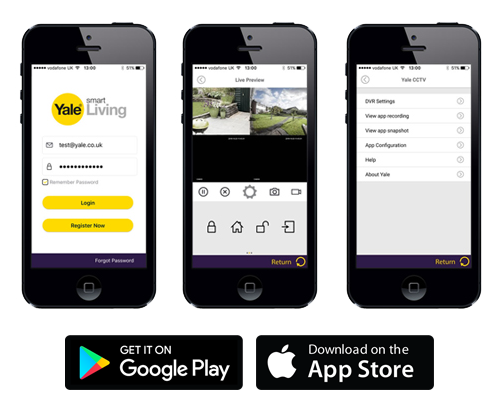 In addition to viewing from your TV it is easy to view recorded and real time footage from your SmartPhone or Tablet using the Yale View App* available for iOS and Android. * For remote viewing via SmartPhone this CCTV system requires a broadband internet connection with a router that includes one free wired network port. SmartPhone must be iOS 9.0 and above or Android 4.4 and above. Requirements: This alarm and CCTV system requires a broadband internet connection with a router that includes two free wired network ports. SmartPhone must be iOS 9.0 (iPhone 6 or above) and above or Android 4.4 and above.